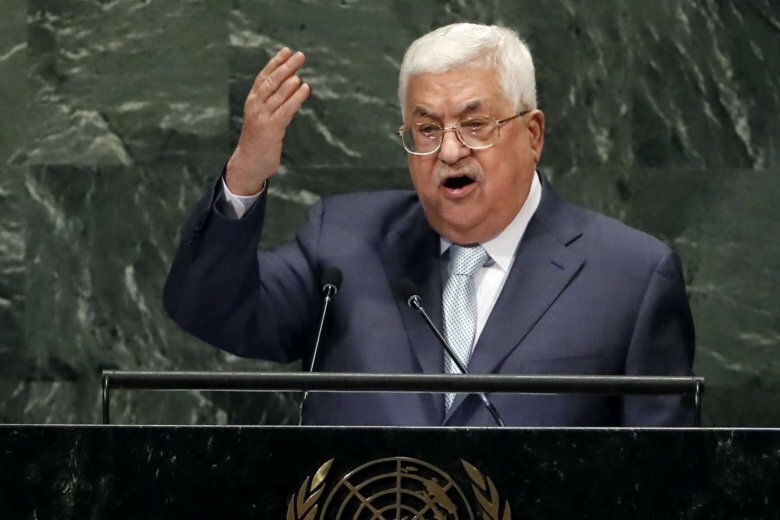 THE HAGUE, Netherlands (AP) — The Palestinian Authority filed a case Friday with the United Nations’ highest court asking its judges to order Washington to remove the recently relocated U.S. embassy from Jerusalem. The move announced by the Hague-based International Court of Justice comes against a backdrop of deeply strained ties between Washington and the Palestinians, in part because of the Trump Administration’s decision in December to recognize Jerusalem as Israel’s capital and to move the U.S. embassy there from Tel Aviv in May. The Palestinian Authority broke off contact with the U.S. after the Jerusalem announcement. Cases at the court can take years to complete. Its decisions are final and legally binding, but are not always adhered to. No date was immediately set for hearings. Trump announced his decision on Jerusalem in December, triggering a joyous reaction from Israeli Prime Minister Benjamin Netanyahu’s nationalist government. The move infuriated the Palestinians, who claim Israeli-annexed east Jerusalem as their capital. Trump is trying to facilitate the “deal of the century” between the Israelis and Palestinians and bring the two parties back to the negotiating table for the first time since 2014. Palestinian President Mahmoud Abbas halted ties with the Trump administration and declared it unfit to remain in its role as the sole mediator in peace talks.